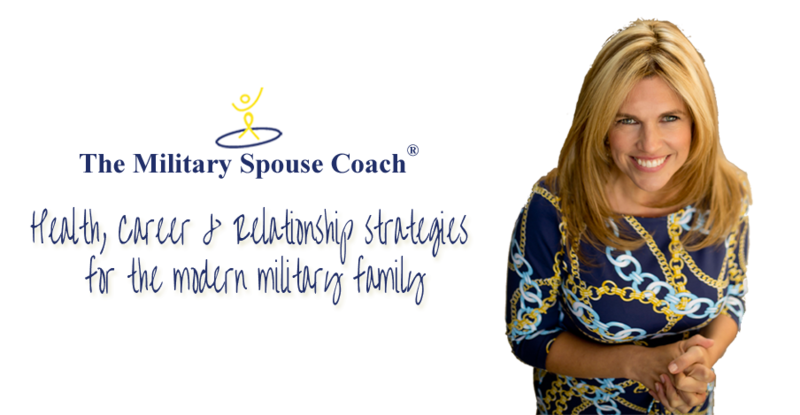 Summer may be the time for vacations and fun, but it can also be an incredibly stressful season for moms in general, and military spouses specifically. Having the kids at home all day can create a feeling of chaos and disorder that quickly becomes overwhelming. I’ve found that the best way to avoid overwhelm is to create a summer routine that brings some order into our lives, without making it overly structured. Setting the tone for the day is an excellent way to start things off right, and it can also help your summer routine go smoother. One way to approach it is to think of the images that you have on your vision board and try to manifest them by acting the part. My clients may post photos on their vision boards of super fit, super happy working moms or of couples walking hand in hand and kids frolicking around the kitchen table. The best way to attract this vision board life into our real life is to act “as if” until that lifestyle we’ve imagined becomes more of a reality. I have fun with this by dressing up “as if” I’m a well-known writer, or a mother that has things more together, or an athlete on the way to the gym. Dressing the part can help you feel better about yourself until your self esteem catches up with you. Try it out for fun. If you’re feeling a bit like you’re in a rut, iron your jean shorts, put on a favorite top, paint your nails, and put on a smile before you go grocery shopping—and see if it makes a difference in your attitude. I’ve talked about creating a morning routine on my Military Spouse Show podcast, and it’s great to continue this routine in the summer if you want to and are able. However, if you’d like to change up your morning routine or if your schedule changes during the summer, now is a great time to create a new routine! There’s something magical about getting up before the rest of the house wakes up; you have to give it a try. 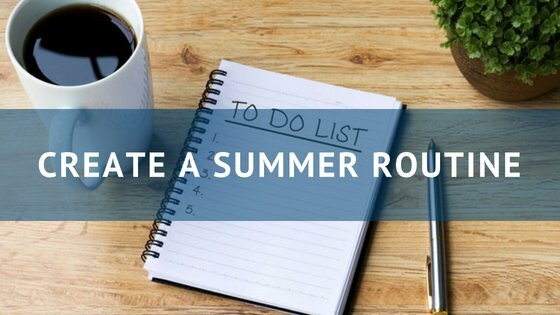 Work on accommodating your routine to the altered summer schedule. Maybe you’re used to taking a morning walk when the kids go to school—now you might shift these plans and go on a family walk in the afternoon. Or maybe going to sleep earlier and waking to a quiet, restful setting is an adjustment that will serve you best during this chaotic time of year. As you plan for the summer, spend some real time thinking about your morning rituals and what you need to do to fit everything into each day. For example, on days when I can’t make it to the gym I ask my 11-year-old son to play a little basketball in the driveway; it’s a great way for us to bond and for me to get a little bit of exercise. You’d be surprised by how much you can sweat playing just 10 minutes of basketball! Another way to begin your day as the best version of yourself is by dressing for success. Yes, that may sound cliché, but when I put on a nice outfit and light makeup, I find that I tend to get more leads and business opportunities. If you dress as if you’re living a vital life, it’s contagious. I’ll have people at the nail salon ask me for my business card and want to book a life coaching appointment. So dress up (just a little) and get out there, even with the kids, and market yourself. No, this doesn’t mean wearing a three-piece suit every morning, but rather dressing up like the most successful version of a military spouse as you can. Your outfit can trigger your brain to get into action, motivating you toward success and making marketing whatever you’re involved in so much easier! If your family schedule changes in the summer with the kids out of school, consider creating a modified routine to help structure the loads of downtime they have this season. My friend Kim, a military spouse and stay-at-home mom, decided to create a daily schedule for her kids and post it on the white board in her kitchen. It looked like day camp, but she swears that scheduling snack time at 10 am and cooking dinner/kids’ video game time at 4 pm works for her family—and helps her keep their meals and her sanity intact. I love this tip! Think about the type of schedule that will best serve your family. If your husband is home, do you have ten minutes to connect over a cup of coffee before the kids are up? Can you schedule a family dinner hour that works? My husband and I tend to “divide and conquer” over the summer. So I’ll feed three kids while he takes our fourth to summer baseball (on those days I make sure to give my baseball star a little extra snuggle time). Whether it’s breakfast and a family walk in the morning or quiet/reading time after lunch and an outdoor activity in the late afternoon, designating blocks of time for different types of activities will help break up the day and keep the kids busy and entertained. Some spouses swear by theme days such as “car washing day” or “change the sheets day” or “other laundry day” to keep things sane. It’s also a good idea to schedule some (secret) quiet time too. Depending on your kids’ ages, they can use this down time to quietly play, read, or just rest (without the TV on!). The idea here is to create a daily routine that’s particularly useful during the summer months when our energy is shifted and we generally need a little more time “being” than “doing.” Figure out what works best for you and your family and then write it down so everyone’s on the same page. The good news? With a solid summer plan in place, I promise you’ll be able to lean into the chaos and embrace military life in a fun and positive way. Share the post "Create A Summer Routine"